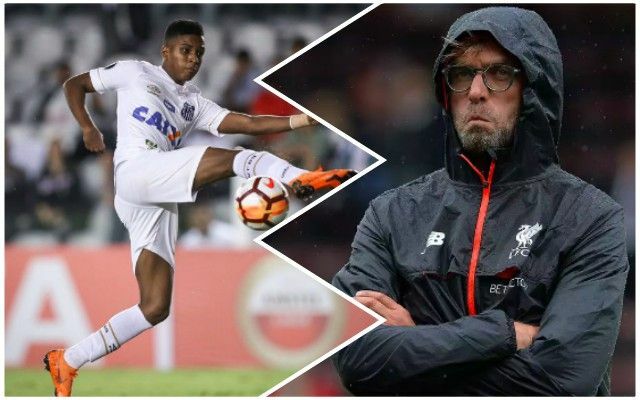 Liverpool were closing in on the ‘The New Neymar’ last summer, but decided against it due to outrageous demands from Rodrygo’s representatives. The 17-year-old is expected to sign for Real Madrid, after Los Blancos tabled a mammoth €45m offer for the starlet, having already secured Vinicius Junior for a similar fee earlier this calendar year. Rodrygo has been tearing it up for Santos recently, scoring nine goals in 2018 alone, including a recent hat-trick. He’s been compared to Neymar as a result, with the PSG superstar graduating from the same club around five years ago. Rodrygo looks destined for greatness, but if he’s going to upset the apple-cart, he’s not the kind of influence Jurgen Klopp wants in the squad. We’re surprised Rodrygo wants a Bernabeu switch though, judging by the failure of Martin Odegaard, the Norwegian wonderkid whose failed to make the grade since his 2015 transfer.